Days Inn Branson/Near the Strip features 90 large non smoking hotel rooms. We offer discount show tickets to many of the Branson Theaters and Attractions like Silver Dollar City, Branson Landing, Celebration City, Titanic, and White Water. The Hotel is located close to Shoji Tabuchi and Braschlers Theater. 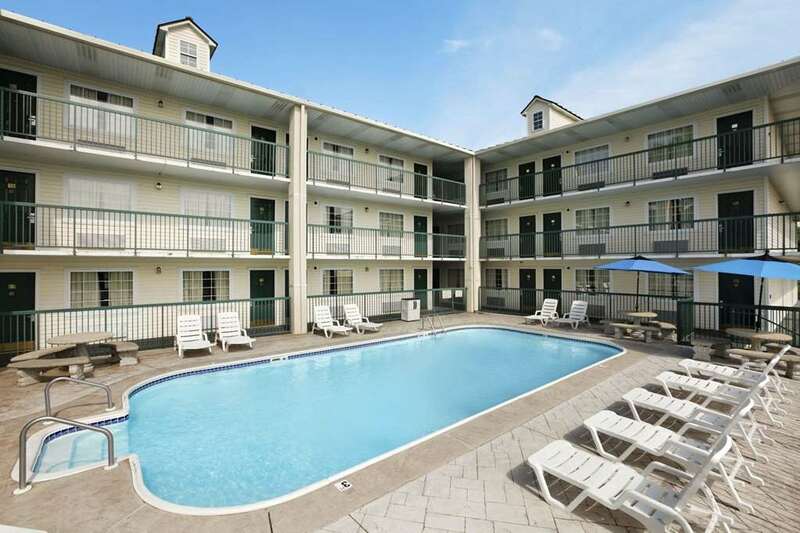 With Jacuzzi rooms available the hotel offers a Deluxe Continental Breakfast, Gift Shop, Heated Pool, Gift Shop, Expanded Cable TV, and Free Local Calls. We are next door to BT Bones Restaurant and Pub. We accept Pets with a charge. All of the rooms have coffee makers, hair dryers, irons and ironing boards.